Zorro is an AES-like lightweight block cipher proposed in CHES 2013, which only uses 4 S-boxes per round. The designers showed the resistance of the cipher against various attacks and concluded the cipher has a large security margin. Recently, Guo et. al  have given a key recovery attack on full-round Zorro by using the internal differential characteristics. However, the attack only works for 264 out of 2128 keys. In this paper, the secret key selected randomly from the whole key space can be recovered much faster than the brute-force attack. We first observe that the fourth power of the MDS matrix used in Zorro(or AES) equals to the identity matrix. Moveover, several iterated differential characteristics and iterated linear trails are found due to the interesting property. We select three characteristics with the largest probability to give the key recovery attack on Zorro and a linear trail with the largest correlation to show a linear distinguishing attack with 2105.3 known plaintexts. 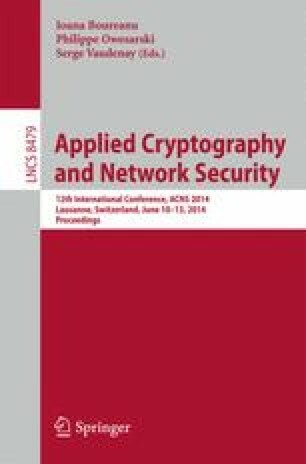 The results show that the security of Zorro against linear and differential cryptanalysis evaluated by designers is insufficient and the security margin of Zorro is not enough.